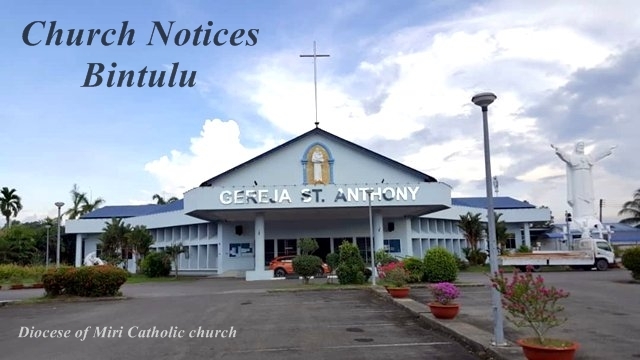 * The Catholic Bishops’ Conference of Malaysia has written a Pastoral Letter to the People of God on 24 April, 2018.
to further the common good.”Gaudium et spes – Church in the Modern World, n.75). The next NFP Workshop (in Iban) will be on Saturday 5th May. Couples planning to be married in Church should attend. The Iban RCIA 2018/2019 session is now open for registration. The sessions will be from 11 am till 12 noon every Sunday at the Parish Hall. The next Infant Baptism (in Iban) will be in July. Parents can start to register with the Parish Office now. Parishioners who wish to be married in the Church are urged to plan their weddings a few months in advance. They are advised to check with the Parish Office for the correct information before their planning.